← 2017 is Fast Drawing to a Close! OPEN 7 DAYS A WEEK…for your shopping convenience. 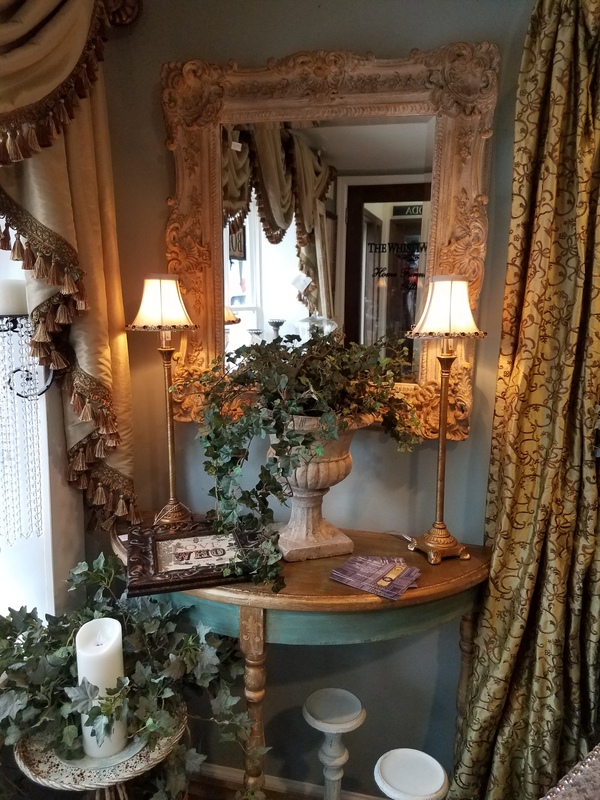 Mondays are especially good days to shop us – you can beat the weekend crowd and jazz up a dreary Monday by coming in for casually elegant home furnishings and accessories! At the Whistling Elk you will find all the finishing touches that make a house Your Home at affordable prices…accent furniture, lighting, artwork and mirrors! You will also find thoughtful gifts! In addition to Lampe Berger Paris there is Bedford Cottage Throws, exquisite French Jewelry, Sloane Fine Teas and much more! And don’t forget we sell Paint Couture…a fantastic choice for creating amazing furniture and cabinet finishes. There are lots of great new gift items, accent furniture, artwork, rugs and more! It was so much fun finding great pieces for you! So if you love a European style that is casually elegant you will love the shop. So come by any day….and don’t forget MONDAYS! Start your week off right with a visit to THE WHISTLING ELK. We are in our 28th Year in Chester of bringing your style, beauty and affordability! This entry was posted in DIY, Furniture, gifts, Home, Paint, Uncategorized and tagged Chester NJ, color, decor, design, diy, do it yourself, furniture, home, home decor, home furnishings, lampe berger, lampe berger paris, Paint Couture!™, painted furniture, room design, shabby chic, window treatments. Bookmark the permalink.